If you are an MSA Channel Partner or MSA Associate, please login to view secure information. MSA is pleased to announce the V-SHOCK 3m (10ft) as the latest addition to the V-SHOCK family of fall protection products. The V-SHOCK PFL is designed with a rugged overmold housing to withstand abusive jobsite environments, and is available in both single and twin leg options. 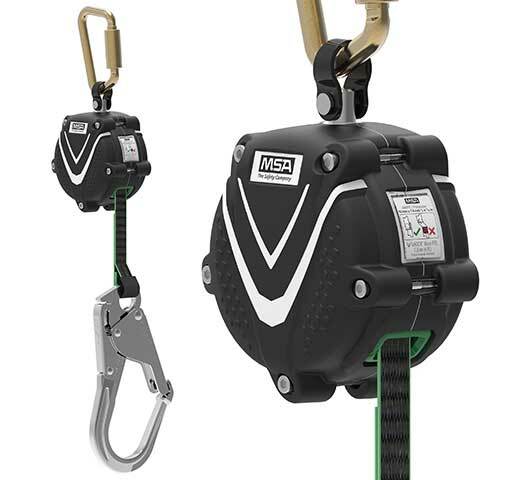 MSA is pleased to announce the V-SHOCK 3m (10ft) as the latest addition to the V-SHOCK family of fall protection products. The V-SHOCK PFL is designed with a rugged overmold housing to withstand abusive jobsite environments, and is available in both single and twin leg options. It incorporates the ground-breaking radial energy-absorption technology found in the V-TEC™ line of self-retracting devices which eliminates the need for an energy-absorber outside of the housing. This unit is more compact and lighter than other competitive options on the market. The V-SHOCK PFL is suitable for use in multiple work-at-height applications in industries such as construction, general industry, and oil/gas. For more information, visit www.MSAsafety.com or contact MSA Customer Service 1-800-672-2222. Please enter one or more email addresses below. Please add a note to include with the email (optional).